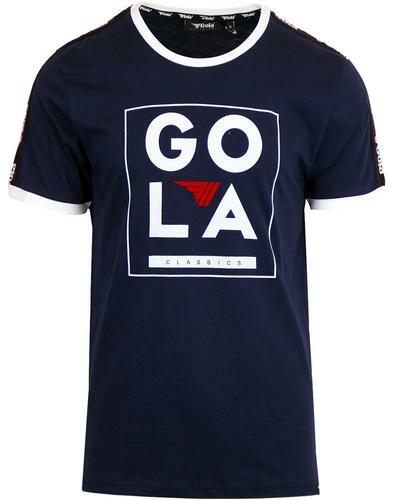 Levi's men's retro 1970s Varsity Athletics crew neck t-shirt in navy. 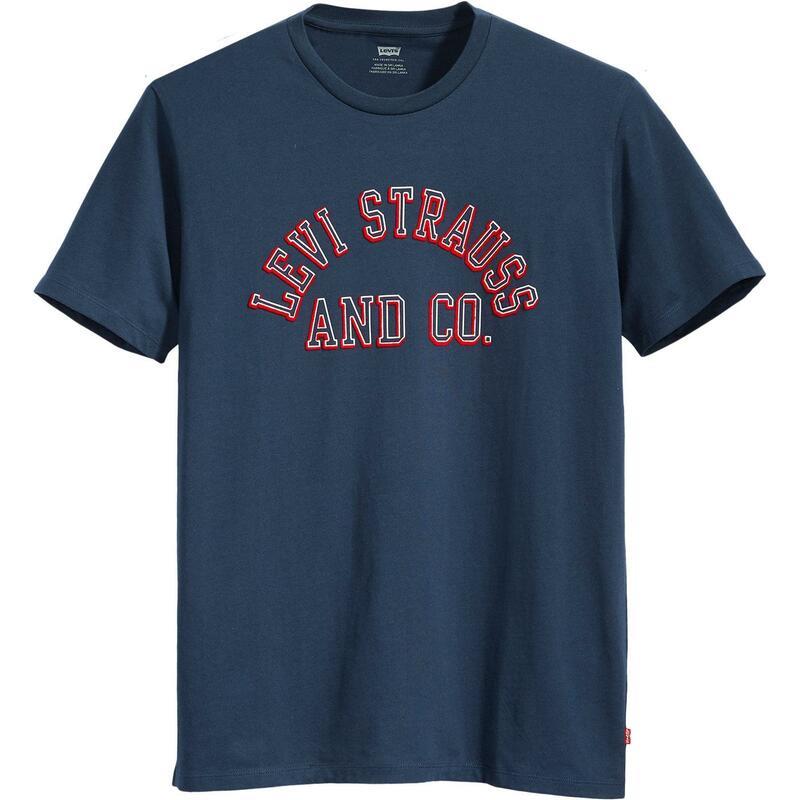 The sublime vintage collegiate sports print to the chest reads 'Levi Strauss and Co. White retro Varsity stencil outline with a textured flock shadow effect in red ensure a visually striking indie t-shirt that will look great layered under a Levi's 'Barstow' Western Shirt and teamed with a Levi's Type 3 Sherpa Jacket. 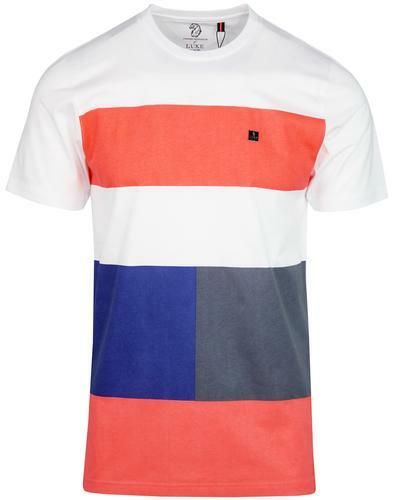 A simple yet striking retro sports inspred t-shirt - The Varsity Athletics Tee from Levi's. 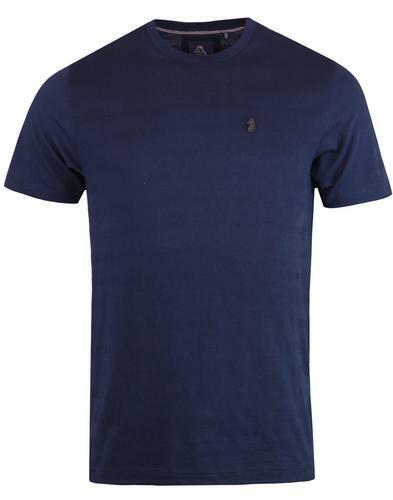 Levi's men's retro Varsity Athletics crew neck t-shirt in navy. 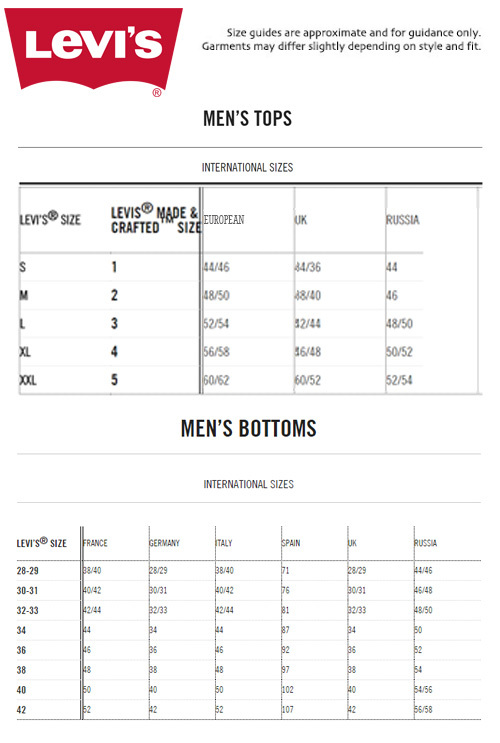 Levi's Strauss and Co signature in white outline with red flock shadow. SKU: 22491-0499 Varsity Athletics T-shirt.